These trees are small and open and easy to maintain with little or no pruning required. To ensure good crops every year once they start producing, mulch every summer and apply fertiliser every Spring and Autumn. The TMac 217 variety partners well with TMac 1, TMac 2, NG 8, H816 and H849. These trees drop 75% of their fruit for easy harvesting. The first large grade crop is usually expected in the third year between August and October. Large white kernels are produced in medium thick shells. 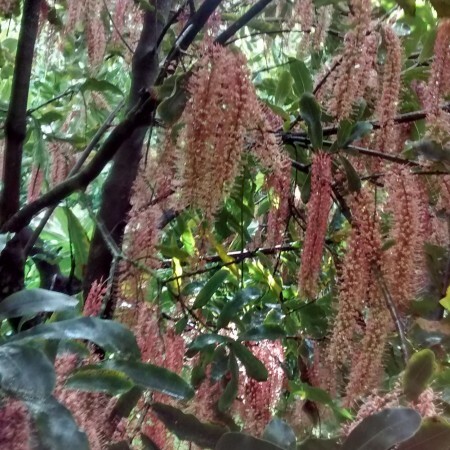 The trees have long white blossoms and the leaves are large, prickly and dark green. Please email: info@toreremacadamias.co.nz to find out more. 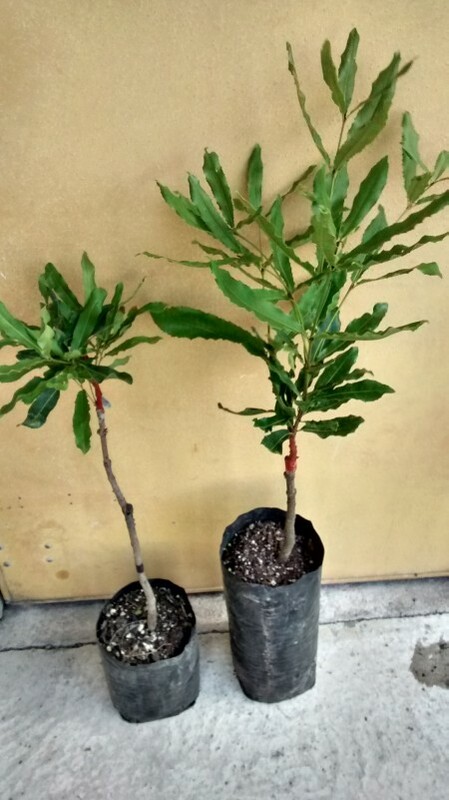 Small grade macadamia plants come in PB6.5 bags. 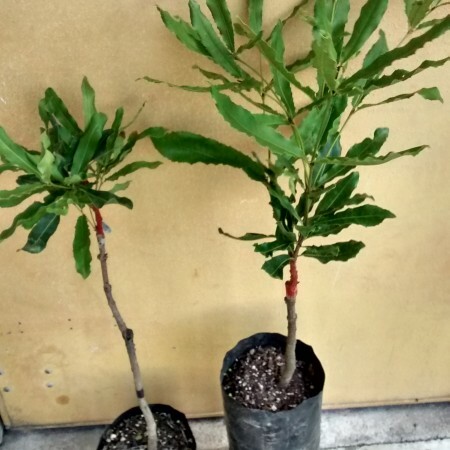 Large grade macadamia plants come in PB10 bags.